Double-sided mounting pads are an industry favorite for assembling P.O.P. structures, signage and 3D promotional graphics to a variety of surfaces. Double sided adhesive foam squares provide a three dimensional appearance to point of purchase displays. Self adhesive mounting squares are a convenient way to add dimension and eye-catching graphics to several P.O.P. applications. Self-adhesive mounting squares are available kiss-cut in rolls, sheets or die-cut custom shapes. 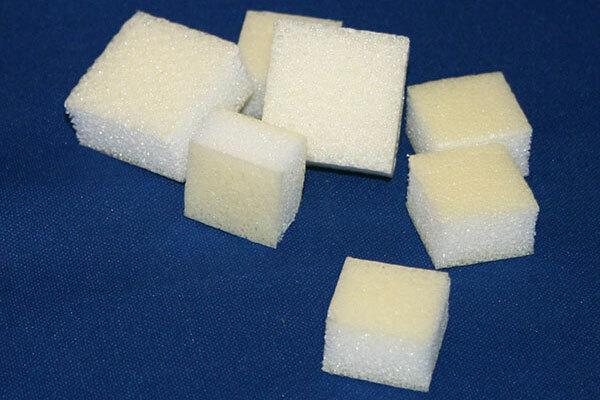 Polyethylene foam can be double coated with high tack rubber adhesive, removable adhesive or permanent acrylic. LAMATEK mounting squares are simple to apply by hand by simply peeling the liner and applying pressure.